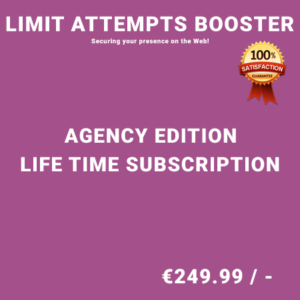 Limit Attempts Booster is a High Quality WordPress Plugin which manages/restricts the access to your website as per your requirements. Limit Attempts Booster was designed to manage the access to user’s website. 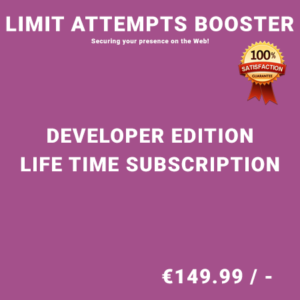 With this plugin, you can limit user’s attempts to log in to your Website and consequently, Block the user for a certain period of time. 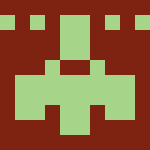 It gives comprehensive control of user activity. 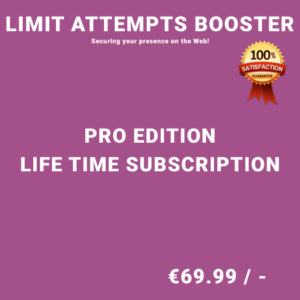 The plugin Limit Attempts allows you to limit rate of login attempts by the IP address. It also protects your site from automated logins efficiently. Title says it all. It covers >95% of my needs in simple format. Great to receive notices of site activity and to know we are kept safe.